By adopting open source, organisations can help their developers collaborate and innovate. As the saying goes, “It takes a village to raise a child” -- and it takes a community to create a healthy open source project. Everyone in an open source ecosystem has the opportunity to shape and improve the software and help with its development. Some will make a large contribution, some a relatively small one. But they’ll all be involved and they’ll all benefit. Away from these project contributors, the project’s end users can then identify the features they need, and pass new code upstream for consideration. Everyone can make a difference. An open source project has the best chance of growing successfully if everyone around it gets involved. From code committers to users, documentation writers to software vendors, platform vendors to integrators -- all have a part to play. The open source world isn’t defined by geography, nor are the communities within it. Open source communities are defined by sharing attitudes, interests, and goals, wherever their participants are. An open source community spans locations, political affiliations, religion, and life experience. There are no boundaries of company, country, or even language. People from all backgrounds with diverse perspectives can get involved. And they do. It’s this very diversity that makes a healthy community thrive -- diversity of thought, diversity of experience, and diversity of opinion. All of these elements make us stronger by giving us opportunities to solve problems together, in the spirit of collaboration. The path to that collaborative working ideal isn’t always smooth. The world at large often teaches us to distrust or fear others. Many have learned an “us versus them” mentality. In this environment, it’s not always easy to communicate, let alone collaborate. Open source diversity is good for business. But I’d argue that being part of an open source community is good for you as a human being. Learning to collaborate, to listen to others, to embrace diversity, can make you a better person. When you adopt kindness as a guiding principle, you’re compelled to reflect on the words you use and the promises you make. It makes you more mindful. And when you can let go of the need to always be right, you might even learn and grow. Collaborative R&D is where open source really drives measurable value. By fostering a sustainable, diverse, open community, an open source project can enable innovation to flourish. 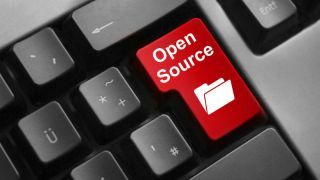 And this openness has exponential benefits too – it not only boosts collaboration within any given project, but also among other open source projects. A successful open source project naturally attracts users and, over time, its collective base of developers and contributors can be much larger than a ‘closed’ project. With greater diversity, a broader range of input, and increased scale, an open source project can gain the advantage. As more people join the community, there’s even greater potential to accelerate problem solving and bring the project to a successful conclusion. When so many people are invested in the outcome, and in the continued innovation around it, a community-led project or platform has a greater chance of success. But what about the ROI? One of the topics I discuss with business leaders is how to evaluate and measure the ROI of having developers contribute to an open source project. After all, developers are paid by their employers to apply their expertise to proprietary projects that further the business’s revenue and competitive positioning in the marketplace. Why should you have your developers putting time in on open source projects that may be helping your competitors in their digital transformation efforts? Open source gives you access to the latest innovation. With the community building open source projects, the best minds are creating technology that has the potential to take your company further than your own developers could take you on their own. Your developers learn from their peers, more than they’d learn by sending them to training. So, yes, you are paying for their time in contributing to open source, but they are learning and improving their skills in a way that satisfies them, keeps them engaged, and gives them access to the latest advances. How much would it cost you to do that by other means? There’s value in being in on the building of open source. If you don’t partake, your company doesn’t get a say in how the project is created and evolves. Participating in an open source project gives your company a share of influence in the future of technology. Open source cannot take the place of proprietary projects, but it can and often is the foundation upon which proprietary projects are then built. You have the whole open source community working for and with you and that isn’t something achievable on your own. Open source certainly isn’t going anywhere. But the benefits will become even more apparent as more organisations learn to embrace it. Developers already know this, of course. And if you’re looking to hire some, remember they often list open source as one of the driving factors when deciding whether or not they’ll join a company. Developers want to be part of something bigger -- they want to contribute and influence where that technology is going. And if you want input from the best, open source is where to find it.